Michael More-Molyneux has lived in the county all his life. His family has been there for five centuries. 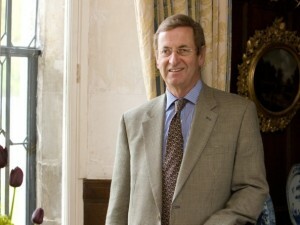 A businessman, he runs Loseley Park Farms. Michael and his family have kindly supported the Foundation for a number of years including hosting a number of events for us at Loseley Park. We were delighted to receive his patronage on his inauguration as HM Lord Lieutenant of Surrey in 2015.